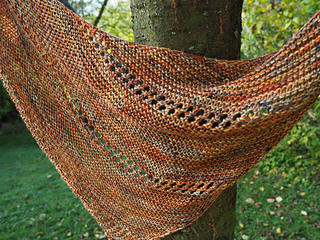 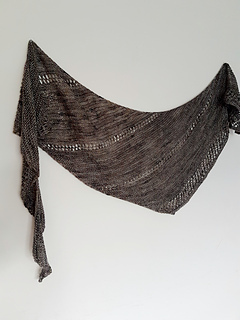 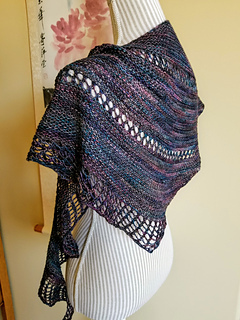 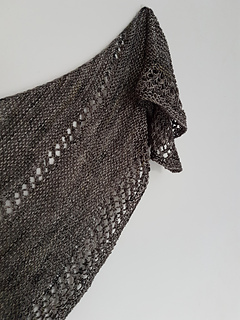 A light and airy shawl which combines simple aysmmetrical shaping with garter stitch and eyelet details. 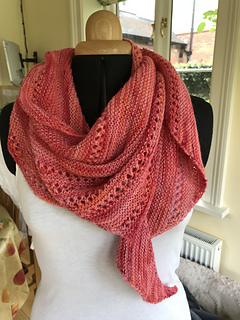 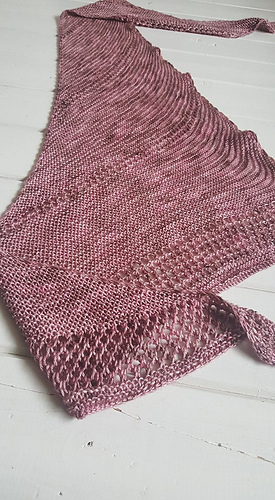 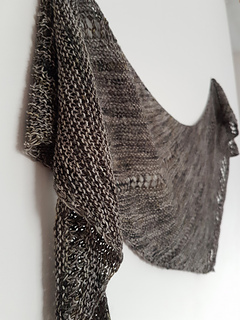 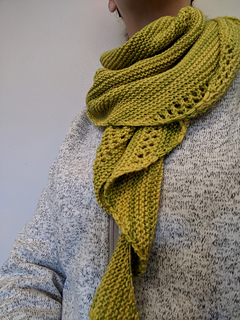 As much as I love a garter stitch shawl, a few eyelet rows here and there really help to break up the texture and also have the pleasing effect of increasing the length and drape of the finished piece. 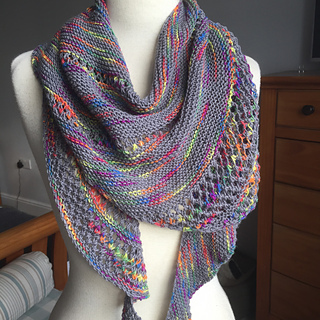 Ideal for maximising that precious skein of 4ply sockweight yarn in your stash.